What? Nothing happened in California? It's a rare week, but the quiet in the Golden State is being made up for by action in state legislatures around the land. And more. On Monday, a Senate panel voted to let police destroy seized medical marijuana . The Judiciary Committee approved Senate Bill 1414 on a 5-3 party-line vote. Under the law as interpreted by the Court of Appeals, police are required to give it back, but Sen. Kimberly Yee (R-Phoenix) said she believes that puts police in the position of violating the federal Controlled Substances Act, which continues to make marijuana illegal. Her legislation would let officers destroy the drugs once any investigation was completed, even if the person was entitled to have them in the first place. The vote came after the American Civil Liberties Union warned lawmakers they were courting legal action. The 2010 initiative specifically says that marijuana held by those who are entitled either to sell it as dispensary operators or possess it as patients "is not subject to seizure or forfeiture.'' The bill now goes to the full Senate. On Tuesday, the House passed House Bill 1061 , the "Responsible Medical Marijuana Vendors" bill, which would create a training program of sorts for medical-marijuana workers. Companies that want to run training schools for employees would apply to the state Medical Marijuana Enforcement Division for certification. If all of a dispensary’s employees complete a training course with a certified school, the state would then grant that dispensary a "responsible vendor designation." The bill now goes to the Senate, which passed a nearly identical measure last year before it died in the House. On Tuesday, a medical marijuana patient sued a staffing firm  she said refused to hire her because she is a medical marijuana patient. Brittany Thomas filed the suit against Adecco Group North America, where she had been employed before being laid off. When more work became available, she told Adecco she would fail the drug test because she was a medical marijuana patient. She tested positive and was told she could no longer work for the company. She is seeking reinstatement and payment of back wages. She is being represented by the ACLU of Maine and a local law firm. On Tuesday, the Lowell city council delayed a vote on a zoning ordinance  aimed at restricting where dispensaries can operate. Instead, the council Tuesday night sent the proposed ordinance back to the zoning subcommittee for further discussion. One reason mentioned for the delay was because the state's Department of Public Health is yet to promulgate regulations for the operation of the dispensaries. The proposed ordinance would allow dispensaries only in light industrial and high-rise commercial zoned districts and would mandate that they be at least 1,000 feet from a school or public library. On Wednesday, the Department of Public Health held a "listening session" in Worcester  about regulations for the state's new medical marijuana law. The sessions are designed to provide public input into the regulatory process. We have no information at press time on how the hearing went. Another is set for Thursday in Roxbury. On Wednesday, the Human Services Committee heard testimony on four bills aimed at restoring the state's gutted medical marijuana program. The bills, House Bills 340 through 343, would eliminate board of examiners' review requirements, allow caregivers to be compensated, remove limits on the number of patients caregivers can serve, and eliminate some record-keeping and unannounced inspections. No word yet on how the hearing went. 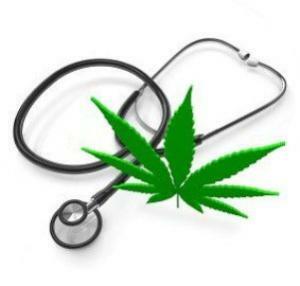 On Tuesday, a poll found that 80% of adults in the state support medical marijuana . The Granite State Poll was conducted at the end of January and the first days of February, and comes as the legislature prepares to deliberate on House Bill 573, a medical marijuana bill. The bill will have a hearing in the House Committee on Health, Human Services, and Elderly Appairs on Thursday, February 21. Last Thursday, a bill to ensure that medical marijuana patients get access to organ transplants was introduced . The bill, AB 576, is sponsored by Majority Whip Peter Barnes, who said he introduced it after a medical marijuana patient was denied a liver transplant and died the following year. On Tuesday, more than 200 people rallied in Raleigh in support of medical marijuana bills . Addressing the group in support of the Enact Medical Cannabis Act was Democratic Party chair Randy Voller. Past bills have been killed by Republican committee chairs, but GOP House speaker Thom Tillis said he wouldn't rule out a well-crafted bill that allowed cancer patients and others with serious illnesses from having access to marijuana as long as strong safeguards were in place to prevent widespread use. Last Thursday, a bill to make PTSD a syndrome treatable by medical marijuana had a hearing  in the Senate Health and Human Services Committee. The bill, Senate Bill 281 , would add PTSD, to the list of qualifying conditions for medical marijuana use in Oregon. The committee heard doctors testify that marijuana has been shown to soothe anxiety, help with sleep, and calm suicidal urges. The bill now heads to the Senate Judiciary Committee.